Need to get rid of carpet moths? Found threadbare patches in your wool carpet? If so, you most likely have carpet moths. 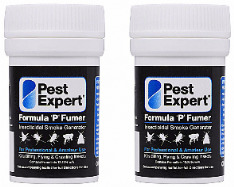 At Pest Control Supermarket.com Ltd we offer only the best carpet moth spray, carpet moth powder, and moth pheromone traps from leading suppliers to help you successfully eradicate a carpet moth infestation without having to call out a professional technician. 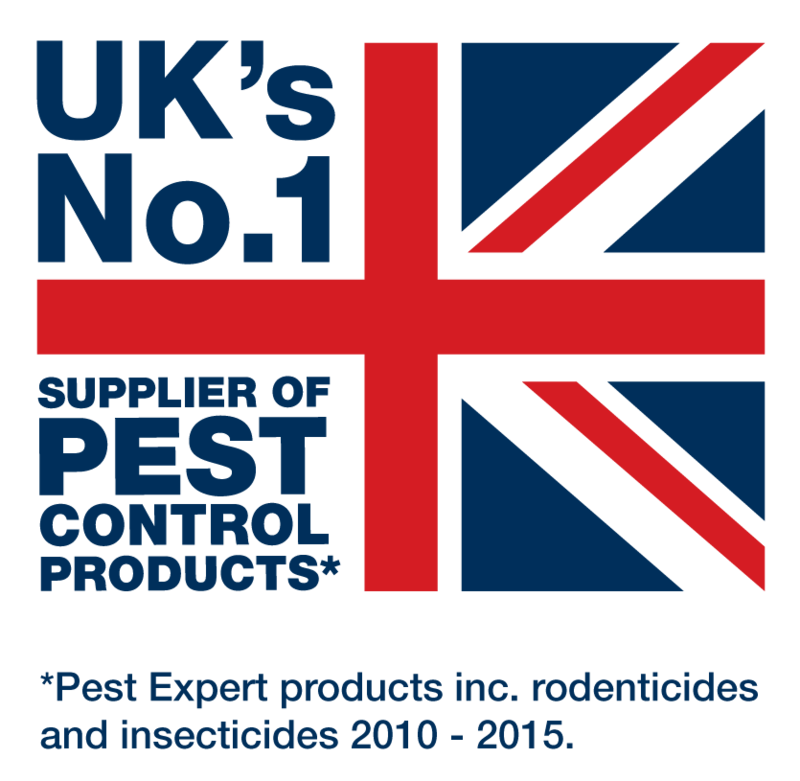 Our many years' experience as part of a London-based pest control services company has given us extensive knowledge in the field and enabled us to carefully select a range of products that are proven to deliver results. Customer satisfaction is very important to us and this is borne out by our Excellent 5-star feedback rating on the independent reviews site, Trustpilot. The Case-Bearing Carpet Moth (Tinea pellionella) is a common textile pest which feeds on a substance called keratin, which is present in natural fibres such as wool, cashmere, silk, furs and animal hides. Carpet moth larvae will happily munch their way through the pile of woollen carpets and silk rugs causing irreparable and often costly damage. Carpet moths can fly in through open windows from a neighbouring property or larvae and eggs can be introduced into the home by way of infested clothing or furniture. Carpet moth infestations are on the increase in the UK, particularly in wealthier parts of the country where a higher percentage of homes contain expensive woollen carpets and clothing. Until relatively recently, carpet moths were usually only active during warmer weather as cold conditions slow down their life cycle; however, as most households are now centrally heated and insulated, reproduction and development is continuing throughout the year. We always recommend carrying out a treatment at the first sign of moth activity as untreated infestations can quickly cause widespread damage. Our best-selling Carpet Moth Treatment Kits contain an optimum combination of the most effective carpet moth killer products including Formula 'C' Moth Spray, Formula 'P' Carpet Moth Powder, fumigating Foggers, and Moth Traps. All Kits are supplied with an advice sheet providing detailed instructions on how to carry out a successful carpet moth treatment and get rid of carpet moths in your home. For everything you need to eradicate a moth infestation, please see our full range of moth control products below. Designed to eradicate carpet moth damage within one room, using only the very best control products available. All products within this Kit are from the UK's market leaders in pest control, Pest Expert, and chosen based on their quality and effectiveness: Pest Expert Formula 'C' Spray, Formula 'P' Powder, a Formula 'P' Fogger and a Demi Diamond Pheromone Trap. All our Kits are supplied with a professional step-by-step advice sheet, enabling you to carry out a simple and effective carpet moth treatment. A collection of the very best available products sufficient for treating 2-3 rooms or for carrying out a more comprehensive treatment to one room. This Kit is supplied with the same high quality carpet moth treatment products as our smaller kit including Pest Expert Formula 'C' Spray, Formula 'P' Powder, Formula 'P' Foggers for safe fumigation and Demi Diamond Pheromone Traps. All our Treatment Kits come complete with a step-by-step professional advice sheet to enable you to carry out an effective treatment and maintain successful carpet moth control. 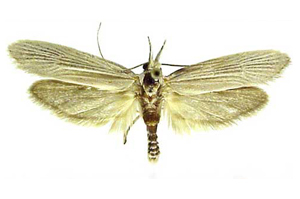 Ideal for eradicating widespread moth activity where carpet moths have caused damage in several rooms of a home or commercial premises. 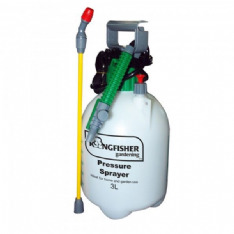 With products from the UK's leading pest control suppliers Pest Expert, this Kit has the added advantage of a pressure sprayer to enable a professional application, as well as containing 5L of Pest Expert Formula 'C' Spray, Formula 'P' Powder, Formula 'P' Foggers and Demi Diamond Pheromone Traps. Complete with a step-by-step professional advice sheet to enable you to carry out an effective treatment and maintain successful moth control. Formula C is a professional-strength insecticidal moth killer spray which kills moths on contact and leaves an invisible residue that will continue to maintain effective control for up to 12 weeks. Suitable for application to carpets and the inside of wardrobes, for the control of carpet and clothes moths. FROM ONLY £8.99 WHEN ORDERING MULTIPLES! The Formula P Fogger is a moth killing fumigation device and an integral part of any moth control treatment. Designed as a safer and cleaner alternative to smoke bombs, this product is perfect for activation in wardrobes or rooms infested by clothes or carpet moths. (FROM ONLY £6.75 EACH WHEN BUYING MULTIPLES). The Formula P XL Fogger (530ml) is a large moth killing fumigation device and an integral part of any moth control treatment. Designed as a safer and cleaner alternative to smoke bombs, this product is perfect for activation in wardrobes or rooms infested by clothes or carpet moths. Measuring 530ml, this fogger will treat an area three times larger than the standard 150ml foggers. Formula 'P' is a highly effective moth killer powder designed for the control of carpet moths and carpet beetles. Contains the powerful insecticide permethrin for a rapid knockdown of all life cycle stages. 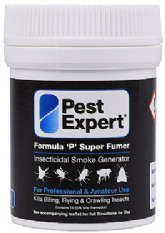 The Pest Expert Formula 'P' Super Fumer is a powerful fumigator, providing a rapid knockdown of adult moths. Ideal for treating moth infestations in larger rooms or open-plan living spaces. Offer complete moth protection for woollen, cashmere and silk clothing and fabrics in your wardrobes and drawers for up to 6 months. Fragrance-free. Each twinpack protects a standard wardrobe. Provide long-lasting moth protection for your wardrobes and drawers, killing clothes moths, eggs and larvae for up to 6 months. Each pack contains 10 perforated papers. Moth Traps, also known as Demi Diamond Moth Traps are designed for trapping the Tineola species (Clothes/Carpet Moths). Supplied complete with Pheromone pad attractants, moth traps are an excellent tool for monitoring moth activity around the home. (ONE PACK CONTAINS 3x TRAPS AND 10x PHEROMONE PADS). 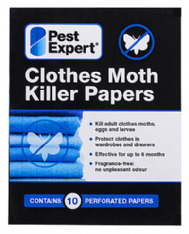 Clothes Moth & Carpet Moth (Tineola Species) replacement Pheromone Pads (pack of 10) for use with Demi Diamond Traps. This highly effective, professional standard moth pheromone trap will attract both clothes and carpet moths. These traps are an excellent tool for monitoring activity to ensure eradication following treatment, or simply for detecting early signs of moth infestation within a home. 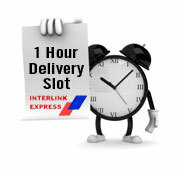 (From £7.45 per pack when buying multiples). 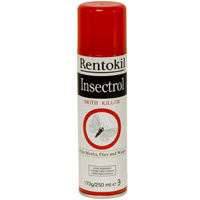 Rentokil Insectrol is a powerful insecticidal space spray, ideal for use in the control of clothes and carpet moths. 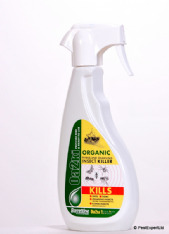 OA2Ki Natural & Organic MothSpray is a good addition to our Moth Control Kits as it is suitable for spot-spraying directly onto clothes. This organic control product contains no pesticides and can be used as an alternative for treating the inside of wardrobes for clothes moths, or carpeted areas for carpet moths. While the knockdown effect and residual is not as fast-acting or long-lasting as products containing insecticides, it is a good alternative for those wishing to choose the organic route. Enables a more thorough professional-style application of all liquid insecticides.